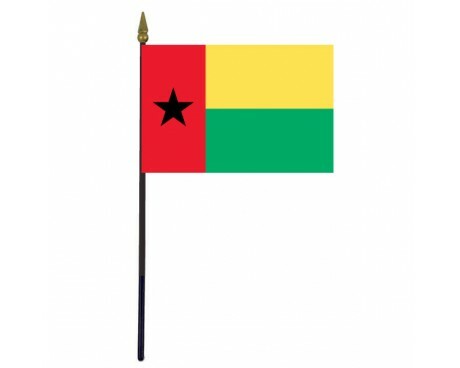 Guinea-Bissau Stick Flag - 4x6"
The Guinea Bissau flag is a clear symbol of the nation's pride and its connection to the rest of Africa and its people. 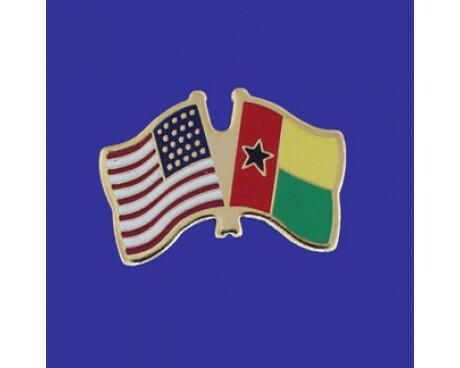 The flag was inspired by that of Ghana as well as that of the nation's leading political party, which helped to give the Guinea Bissau flag meaning as a historical and ethnic symbol. 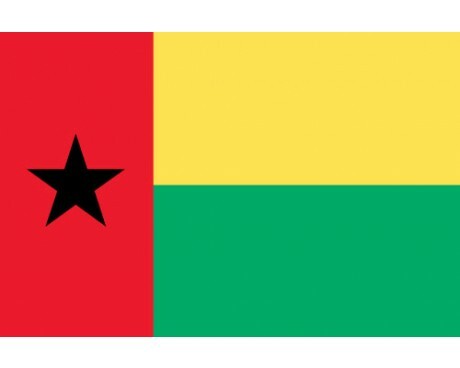 The Guinea Bissau flag consists of a vertical stripe of red along the hoist that contains a black star and two horizontal stripes of yellow and green that stretch out from the red stripe. The flag's proportions are 1:2, which makes it distinct from many of the other flags in Africa and the rest of the world. The black star is a symbol of the African people that also appears on the national flag of Ghana.The red stripe represents the blood of the nation's martyrs, the green stripe stands for the country's forests and hope for the future, and the yellow stripe is a symbol of both the nation's mineral resources and the sun. The Guinea Bissau flag meaning corresponds to that of the flag of Ghana, which inspired the flag's design. The colors are also used in the Pan-African flag, which gives them meaning as symbols of the African people. That symbolism is reinforced by the many African flags that use the colors as a show of unity with the rest of the continent. The nation of Guinea-Bissau was a colony of Portugal until the second half of the 20th century, and it represented itself with the flag of Portugal during the colonial period. The African Party for the Independence of Guinea and Cape Verde opposed Portuguese control of the country, and it led the nation's struggle for independence from European control. 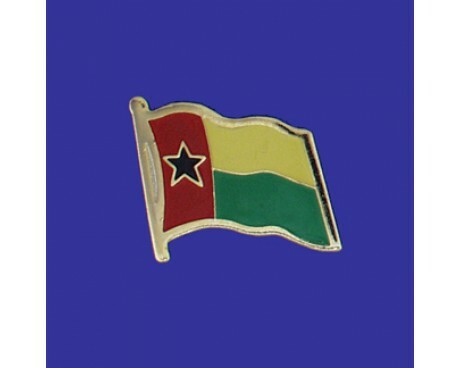 The party's flag provided the basis for the national flag of Guinea Bissau. The party's flag featured an abbreviated form of the party's name under the black star, but it was otherwise identical to the nation's current flag. The flag was adopted for national use in 1973, and it has not changed since that time.